T-34-85 from 6 Pz.Div. Znojmo, Czechoslovakia, 1945. 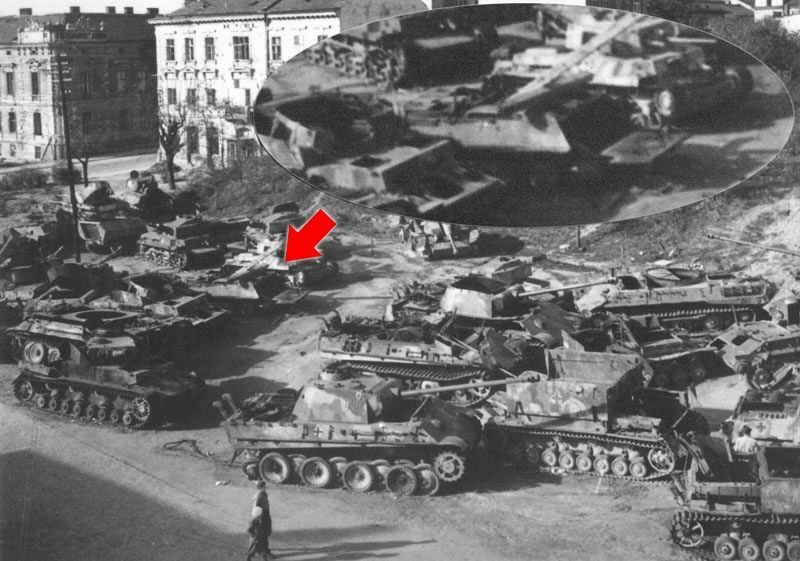 А Т-34 tank hull (probably T-34/85 with hard edge nose bar) with the German Balkenkreuz in the centre of the side plate that probably belonged to the 6 Pz.Div.. There is an interesting device welded on the lower glacis which is very similar to the Cullin hedgerow cutter used by Allied tanks in Normandy in 1944. The splashguard over the driver's hatch is broken. To the left of the hatch is a Notek headlight base. 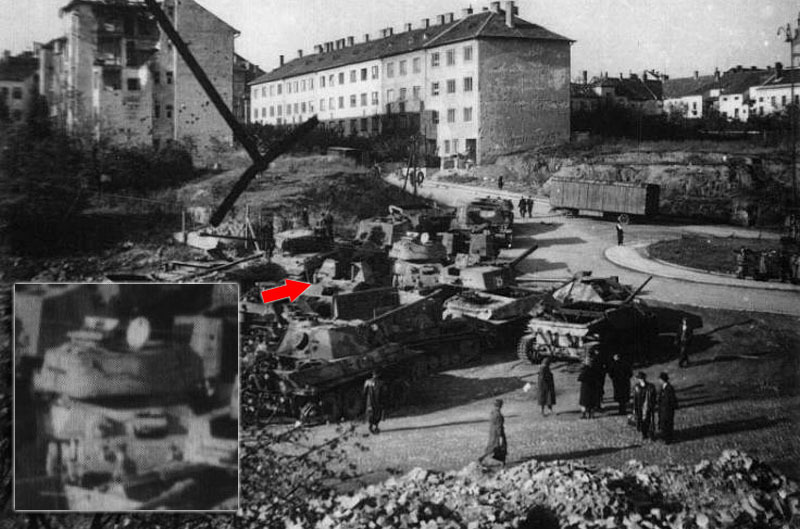 On the photo background is the turret of another T-34/85 tank. 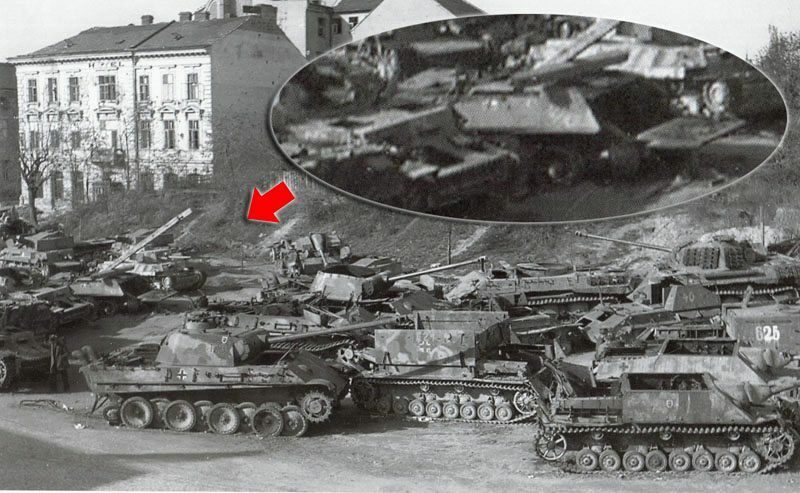 А Т-34 tank hull (probably T-34/85 with hard edge nose bar) with the German Balkenkreuz in the centre of the side plate that probably belonged to the 6 Pz.Div. There is an interesting device welded on the lower glacis which is very similar to the Cullin hedgerow cutter used by Allied tanks in Normandy in 1944. The splashguard over the driver's hatch is broken. To the left of the hatch is a Notek headlight base. 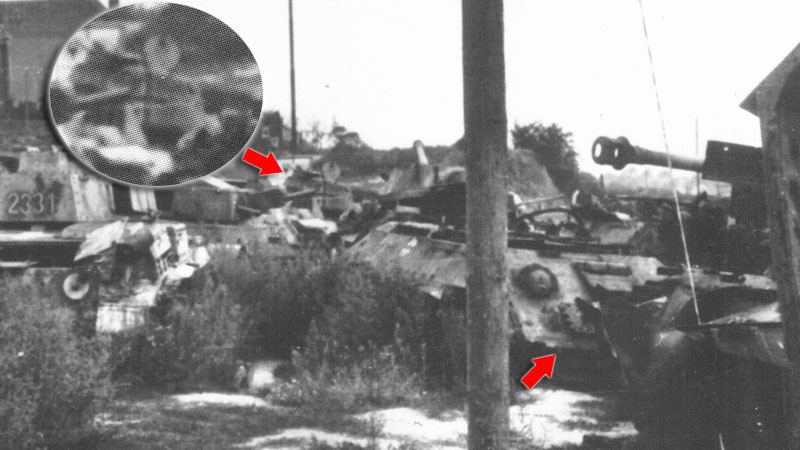 On the photo background is the turret of another T-34/85 tank. 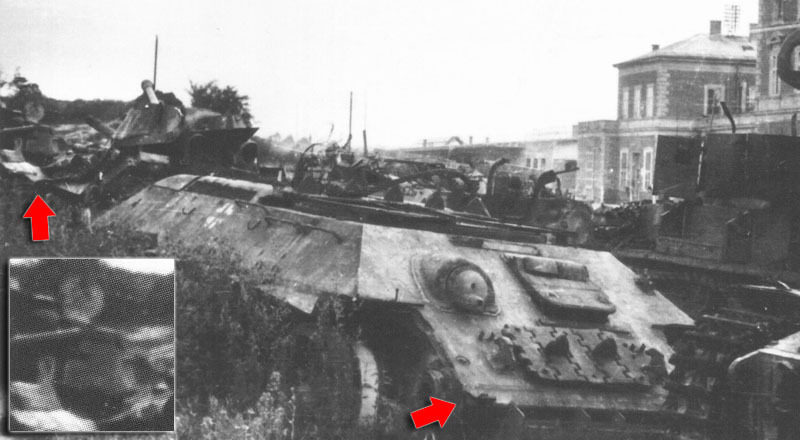 А Т-34 tank hull with the German Balkenkreuz in the centre of the side plate that probably belonged to the 6 Pz.Div.